How We Can Help Your Practice? Where we are giving time & quality of life back to our dentists while streamlining new patients to their door each month & enhancing their digital footprint! Let's Make Your Practice, Your Demographics Preferred Choice! It's time you just worry about being the best Dentist you can, we'll handle the rest! Allow Practice Preferred to elevate your practice to peak performance today! I Need New Patients Now! Struggling to increase practice production month after month? Studies show many people suffer from fear or anxiety that comes with trusting a new dentist and their practice. At Practice Preferred we offer both 360 visual tours as well as google click-through 360 tours to eliminate any fear of the unfamiliar they may have! "Where could your practice be this time next year if every day until then your schedule was booked solid with your ideal patients...all on autopilot?" We build dental websites without the annoying self promotion in your footer, completely white label letting your customers focus on you! Let us build you an up to date, user friendly, highly optimized digital footprint that's both scalable and page one of google worthy! "In 2018, I grew my practice into a million dollar practice, but I didn’t do it by myself. I made a heavy investment in marketing, and in Practice Preferred, and they killed it. It was a lot of work for them: upgrading my website and SEO, making targeted ads, filming videos, and, at first, spending a lot of time on the phone educating me on the fundamentals of marketing and sales. 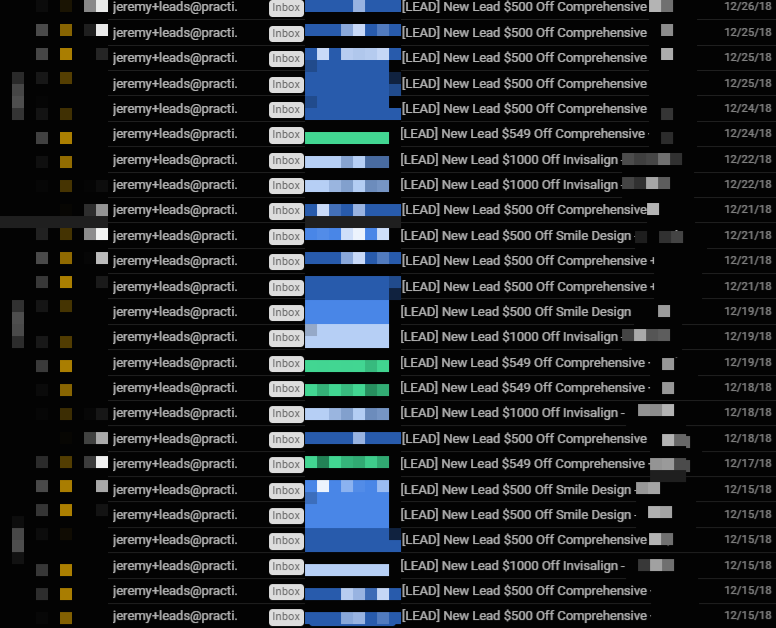 But now, my marketing campaign is on auto-pilot, and they consistently get me new leads every month. Before Jeremy and Colin took the time to help me, I did my own marketing, and it was so much work and so stressful. Now, I don’t do anything except for call my friends, Jeremy and Colin, and tell them what a good job they are doing and discuss each month's goals and results. Highly recommend!" "If you're tired of trying to do everything at your practice, when in reality we are the dentists, we aren't supposed to be the website builder or the marketers nor are our staff. If you're ready to delegate to professionals specializing in dentistry...look no further. I started working with Jeremy & Colin in the end of 2016 and these guys have gone 10x above and beyond on every level for not only myself, I think pretty much everyone I've referred! What started as a b2b relationship quickly turned into a friendship with business included. Jeremy & Colin invest in you and your practice and truly care whether you succeed or not which is rare now a days! Highly Recommend"
That's the Practice Preferred way! A Year From Today, Do You Want To Be Living Your Dream Practice Life Or Closing Your Doors To Corporate Dentistry Takeover? You chose your dental schools of choice, invested hundreds of thousands of dollars in yourselves to become the dentist you always envisioned yourself to be! Spend your valuable time doing what you do best, being a great dentist! 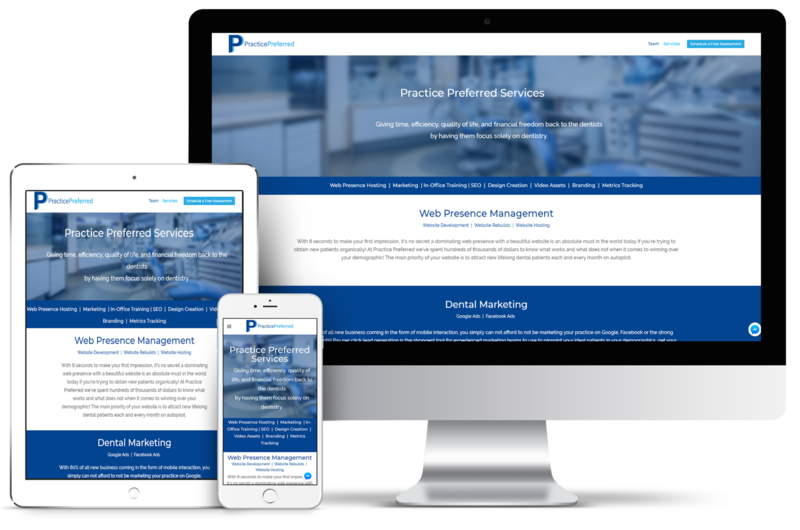 At Practice Preferred we handle all aspects of your digital presence, marketing, and lead generation putting your practice on autopilot, flooding your office with new ideal faces each month all while giving you back your valuable time and quality of life! 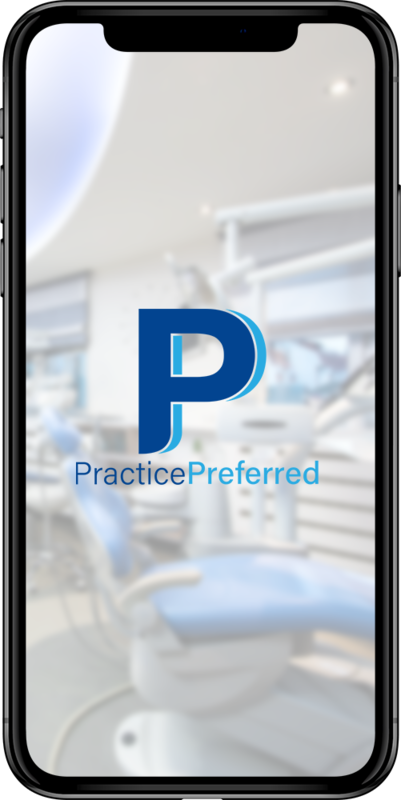 Subscribe below to stay up to date with all Practice Preferred news!